Sky Sources have claimed that Rangers are in the hunt for Peterborough’s on-fire forward Jack Marriott along with Nottingham Forest and Sheffield Wednesay. The 23-year old has a stunning 33 goals in all competitions and has attracted a great deal of interest for his excellent displays this season at the ABAX Stadium which have him as top league scorer in League 1 with 27 goals. 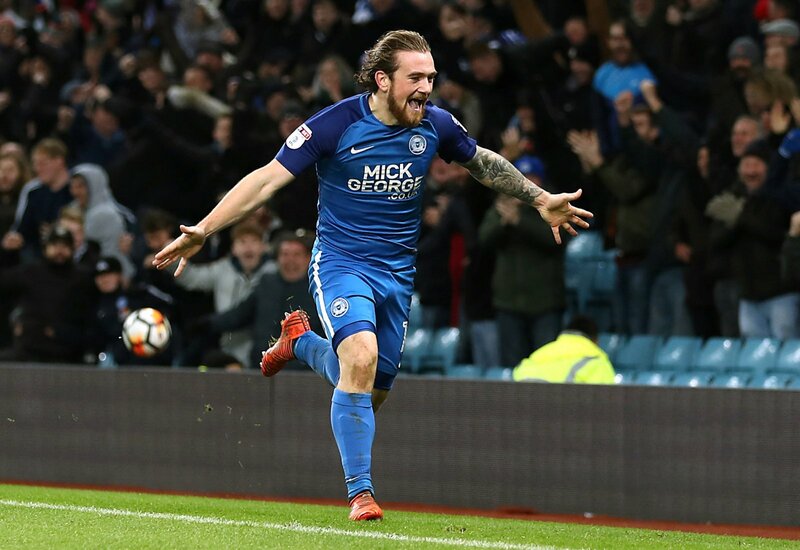 The player has confirmed he wants to progress to a higher level, and many would make the argument Rangers and the SPL is a step up from Peterborough, with all due respect to the Posh. Having had something of a nomadic career up till now with loan spells which make Rob Kiernan look like a hermit, Marriot seems to have finally clicked into gear and it’s caught the attention of Rangers. What the fee would be is unknown as yet but less than a million could be enough to prise him up to Ibrox. We shall see if Steven Gerrard pursues his reported interest. 3. Oli McBurnie & John McGinn!